As part of its continuous improvement efforts, Onur Air has taken a new step by partnering with OpenAirlines in order to monitor its fuel consumption and develop best practice solutions for its operation. “With this move, we are aiming to touch one of the most important item on an airline’s cost structure while we show our commitment for the green environment. We believe that the innovative and easy-to-implement solution of OpenAirlines will provide the best solution to us” stated the VP Asset Management, Tufan OZCAN. OpenAirlines, a French innovative company, has implemented SKYBREATHE FUEL EFFICIENCY a software solution to help airlines all over the world achieve important savings (from 1% to 4 %) on their fuel costs. This software is the outcome of 5 years of R&D conducted jointly with airlines, OEMs and Aeronautics Universities, and leveraging the Clean Sky research program. The company has developed algorithms to quickly analyze all the flights of an airline and propose fuel savings solutions. With SkyBreathe Fuel Efficiency, OpenAirline was awarded the “2013 Sustainable Development Trophy” by La Melee association and the Toulouse Midi-Pyrénées Chamber of Commerce. 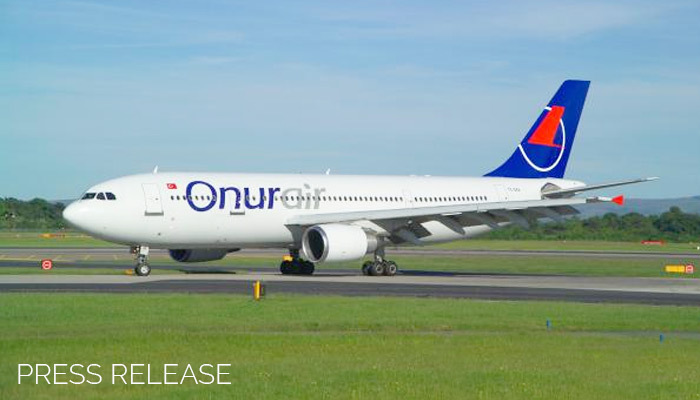 Onur Air is one of the largest private airline companies in Turkey, operating to 17 domestic destinations and 80 international destinations in 20 countries with 18 Airbus A320 family and 4 Airbus A330 family aircraft. Onur Air carried more than 75 million passengers since it was established in 1992. OpenAirlines was founded in Toulouse, France, in 2006 to meet the needs of airlines to optimize their flight operations and reduce their costs. Leveraging a team of airline specialists, it offers innovative software solutions to save fuel (SkyBreathe®), manage crews (CrewIntelligence™ and CrewPad™) and fleet (OptiFleet™). With this partnership, Onurair intends to reduce its carbon footprint and strengthen its commitment to sustainable development.